Hi guys! I hope you're having a great Friday! I'm still over here fuming about of my blog being singled out by a bunch of bullies (you can read all about it here if you missed my post on Tuesday). I don't get mad very often, but when I do, it seriously takes me awhile to get it out of my system! I had a small victory when I was successful in having the bullying post removed from Live Journal since they were using my photos without permission. 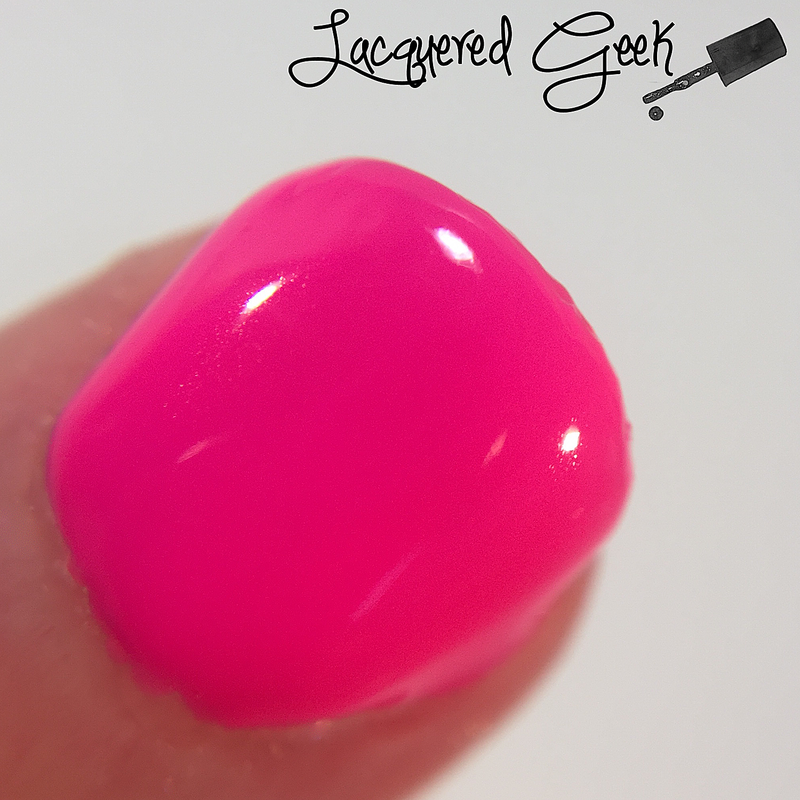 At the end of June, Raph from Digital Nails launched the Definitely Not Cute collection. This collection is a seven polish set that was inspired by "Bee and Puppycat." What is Bee and Puppycat you ask? It's an animated series of shorts about a 20-something girl who can't seem to keep a job and her strange new pet. I will warn you, it's freaking addictive. I've become obsessed with it. Sadly, there are only a handful of episodes but they are awesome!! You can watch the episodes here! I picked up four of the polishes from the collection, and over the new few posts I will be sharing them with you! 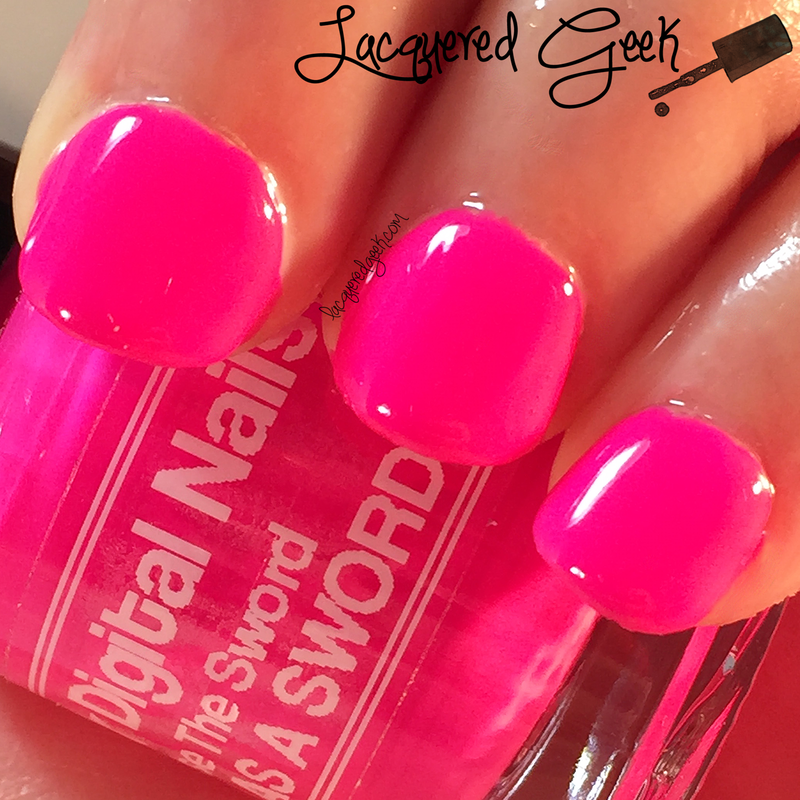 The first polish that I want to share is "Use The Sword AS A SWORD." Use The Sword AS A SWORD was inspired by this scene in the pilot episodes. 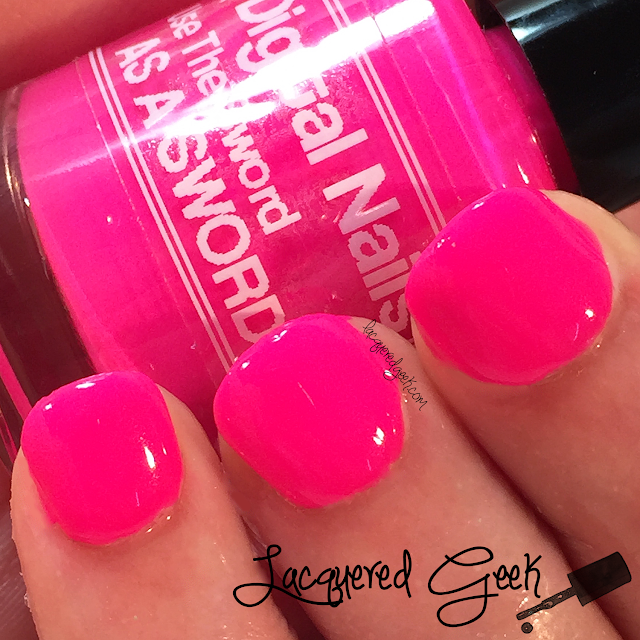 Use the Sword AS A SWORD is a blinding hot pink crelly. This polish completely freaked my camera out. In fact, it did it to every camera I tried! The formula on this was just so perfect and squishy. And opaque! I only needed one coat for these photos. I've worn this quite a few times this summer. It's perfect in every way! 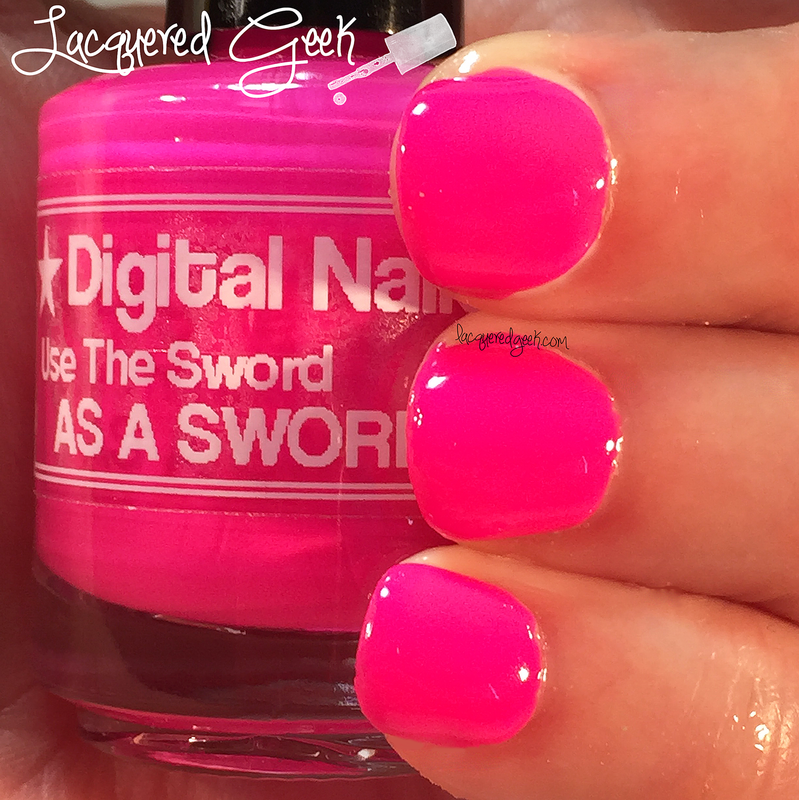 It looks like Use The Sword AS A SWORD is the only one from the Definitely Not Cute Collection that is not in stock at Digital Nails. Edit: Use The Sword AS A SWORD has been restocked! It's $10.00 on the Digital Nails site. Have you heard of (or seen Bee and Puppycat)? I really want Bee's sword that I found on ThinkGeek but I seriously have no need of it - other than just IT'S BEE'S SWORD!!! It is on sale so maybe I'll grab it in my next order. A girl can never have too many swords even if they are plastic! I have never seen or heard of Bee and Puppycat but dang this is a squishy shade! I love shades like this, they are so eye-catching and fun to wear. Girl, this looks insanely great on you! You are selling it! I love it! I've never met a pink I don't like and this is no different! Wow this is explosive! Love it! 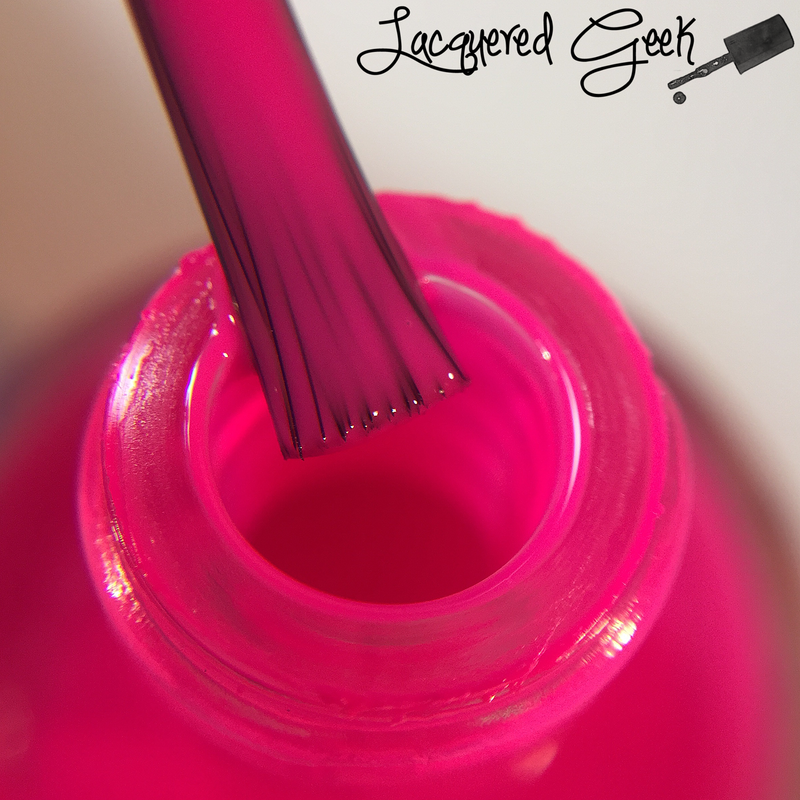 That is definitely one super bright pink!!! Love it!! Wow how bright is that pink!! And it looks so squishy too. This is such a beautiful juicy jelly! I lurve it on you. :) So glad you got the offending piece pulled from LJ.